The Year is 1985 - but not for long. Because teenager Marty McFly (Michael J. Fox) is about to be blasted back to 1955 aboard the plutonium-powered DeLorean created by eccentric genius Doc Emmett L. Brown (Christpoher Lloyd). But when Marty accidentally keeps his parents-to-be from falling in love, it triggers a time-shattering chain reaction that could vaporize his future - and leave him trapped in the past. Now, Marty's only hope is to change history - before the clock runs out on his one-in-a-million chance to get himself Back to the Future. 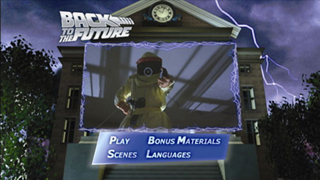 Take a rare look behind-the-scenes of the making of Back to the Future in a featurette created in 1985, featuring Michael J. 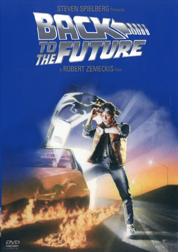 Fox, writer/director Robert Zemeckis, writer/producer Bob Gale and special cameo appearances including executive producer Steven Spielberg and musician Huey Lewis. A unique look back at the making of the film with insights into the multi dimensional family interaction and casting choices, featuring Michael J. Fox, Robert Zemeckis and Bob Gale. Hilarious flubs, bloopers and antics from the set. Candid Q&A With Director Robert Zemeckis and Producer Bob Gale. A unique opportunity to see Michael J. Fox as he discusses Back to the Future.A unique opportunity to see Michael J. Fox as he discusses Back to the Future. See the original make-up tests for the elad characters: Doc Brown, Marty's Mom Lorraine and Nemesis Biff.